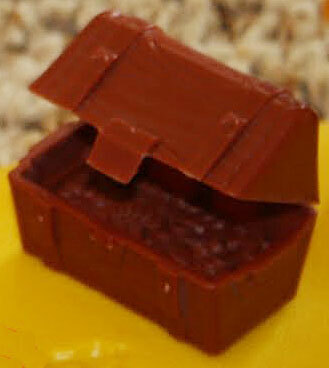 Description: Brown treasure chest with a rounded lid. The lid has a latch on one side and is hinged on the other side. When the lid is open, it reveals a pile of gold coins inside. Brown treasure chest with a rounded lid. The lid has a latch on one side and is hinged on the other side. When the lid is open, it reveals a pile of gold coins inside. 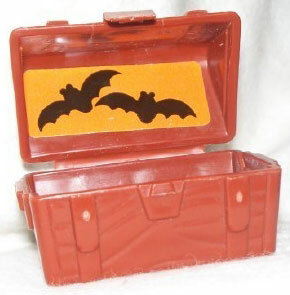 Inside the lid has a yellow rectangular litho with 2 black bats.